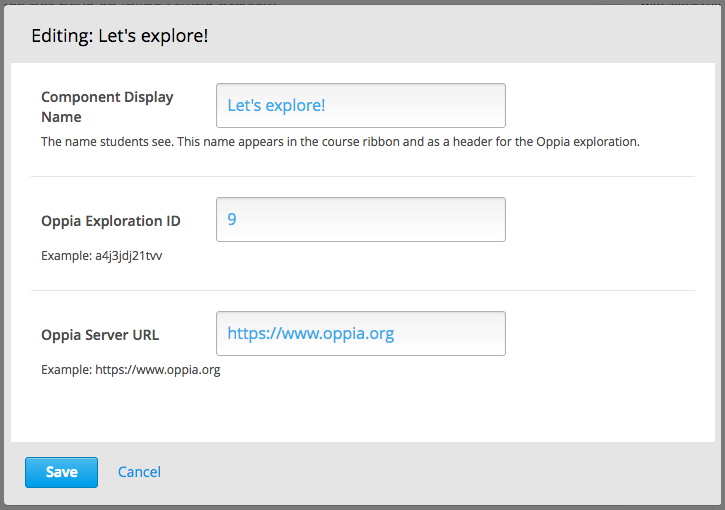 To enable the Oppia exploration tool in Studio, you add the "oppia" key to the Advanced Module List on the Advanced Settings page. (Be sure to include the quotation marks around the key value.) For more information, see Enable Additional Exercises and Tools.